Linux is everywhere; empowering most of the supercomputers, Linux servers power the international financial trades, Android devices, and even the Internet. As per a recent report, 97% of the hiring managers will prefer to hire Linux professionals instead of professionals with other skills. However, 44% of the recruitment managers stated that they will hire a candidate with Linux certification. The market demand of the Linux certifications has been increasing with time. Understanding this importance and value of the Linux certifications, here we add one more Linux certification in our list. Red Hat Certified Engineer (RHCE) certification is one of the well-known Red Hat certifications that requires considerable hands-on experience. If you are a passionate Linux professional who wants to bring his career to the next level, RHCE certification is for you. And we are happy to announce the launch of Red Hat Certified Engineer online course that will help you prepare for the Red Hat Certified Engineer exam. The RHCE online course covers the real-world scenarios and thus prepare you to solve the tasks asked in the RHCE exam. Whizlabs RHCE online course consists of 9 hours of training videos and covers all the exam objectives. The training videos of the Red Hat Certified Engineer online course has been divided into the 10 modules. 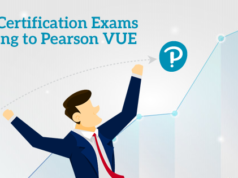 If you want to know more about the modules covered in the RHCE online course, you should watch this sample video that gives you an introduction to the exam and course content as well. Not to mention, if you are preparing for the Red Hat Certified Engineer exam, this RHCE online course will prove an invaluable resource in your RHCE exam preparation. Red Hat Certified Engineer (RHCE) certification is one of the most popular Linux certifications among the Linux administrators and engineers. To achieve the Red Hat Certified Engineer certification, you need to pass the Red Hat Certified System Administrator (RHCSA) certification exam before the Red Hat Certified Engineer (RHCE) certification exam. Although you can take and pass RHCE exam before the RHCSA exam, you’ll become a Red Hat Certified Engineer only when you pass both the certification exams. Red Hat Certified Engineer (RHCE) exam validates the skills of the candidate to perform the role of the senior system administrator for the Red Hat Enterprise Linux (RHEL) systems. If you are aspired to pass the Red Hat Certified Engineer exam, you should be prepared to perform the tasks asked in the RHCE certification exam that is based on the different categories. Red Hat Certified Engineer (RHCE) exam covers the following categories as the exam objectives. Whizlabs Red Hat Certified Engineer (RHCE) Online Course is completely focused on the exam objectives of the Red Hat Certified Engineer (RHCE) certification exam. The 9 hours of videos and 10 modules of the RHCE online course covers the categories mentioned in the exam blueprint. Thus, the aim of the RHCE training course is to help the candidates to prepare for the RHCE exam. Whizlabs Red Hat Certified Engineer Online Course is completely exam-oriented and helps you in your RHCE exam preparation. 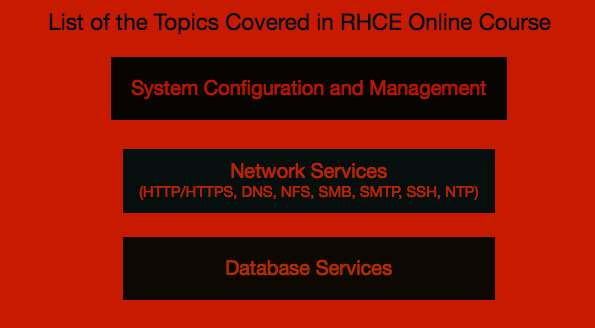 Let’s find out the topics covered in various modules of the RHCE online course. The topics covered in the RHCE online course are exactly the same as that of the objectives of the exam. Hence, the Whizlabs Red Hat Certified Engineer Online Course is completely exam-oriented and will prepare you for the exam. How does Whizlabs RHCE Online Course Help You Pass the RHCE Exam? Pioneering the online certification training industry, Whizlabs is aimed to help the professionals in their certification exams’ preparation. To achieve this aim, our team of certified professionals and the subject matter experts work hard to create and provide the word class training content. Let’s have a look at the important features that make RHCE training course valuable for you. RHCE online course has been prepared by the subject matter experts with the core focus on the exam objectives. The course content is solely based on the exam objectives, this will help you to cover all the exam topics and get fully prepared for the RHCE exam. Being a working professional, you may not be able to get a long duration for the exam preparation. Understanding this, our professionals have created the videos for a topic as short as possible. As the exam does not consist of any objective-based questions instead, you will get real-world scenarios and performance-based tasks in the exam. The RHCE online course has been prepared with real-world examples to help you understand the concepts in the easiest manner. It will also make you confident to prepare and pass the Red Hat Certified Engineer exam. One of the important features of the Whizlabs RHCE online course is that it comes with lifetime validity and unlimited access. You can watch the training videos as many times you want to prepare well. Even when you’ve taken and cleared the exam, you’ll still have access to the training videos to clear your doubts. As you know that the course provider (Red Hat) can change the exam objectives at any time with any minor or major change. For that, our team works to update the training content simultaneously. Even if you have already taken the RHCE training course, it will be automatically updated as per the modifications. 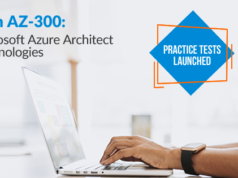 So, Are You Ready to Start Your Preparation for the RHCE Certification Exam? Whizlabs Red Hat Certified Engineer (RHCE) online course is fully focused on the RHCE exam objectives. The main purpose of the RHCE training course is to help you in your preparation, thus getting you ready for the RHCE exam. We have already helped over many millions of professionals to level up their career and determined to help many others too to have a bright future. Moreover, according to the job trends for Linux professionals, there will be much more job openings for the certified Linux professionals. So, what are you waiting for? 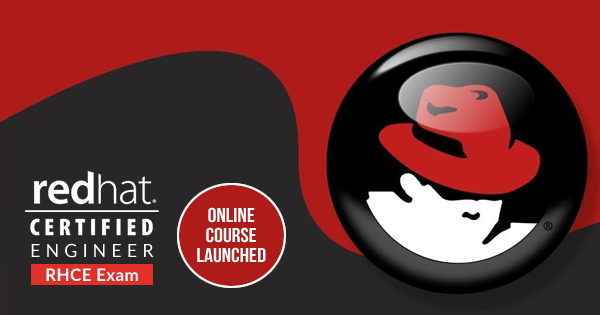 Enroll for the Red Hat Certified Engineer online course and prepare yourself to become a Red Hat Certified Engineer.